It is generally assumed that if a sample represents its broader population on key demographic variables, the data it yields will also be representative. 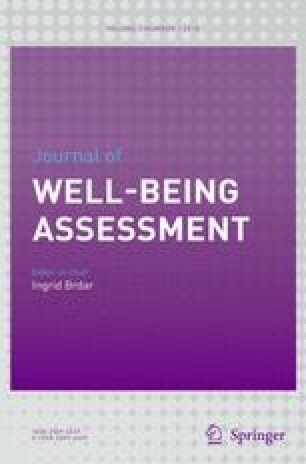 Here we present evidence to suggest that this is not necessarily so when subjective wellbeing is measured from participants recruited through online panels. Using data from six countries: Australia, Germany, Sweden, the Netherlands, UK and USA, we reveal significant differences in subjective wellbeing between online panel data and nationally representative data, even though both are demographically comparable. These findings indicate that the online panels comprised an abnormally high proportion of people with low subjective wellbeing, thus rendering their data non-representative. Given the widespread use of online panels to collect data in the modern era, we issue a caveat emptor. GLS: Thinking about your own life and personal circumstances, how satisfied are you with your life as a whole? 0 = Not at all satisfied, 10 = Completely satisfied. PWI: How satisfied are you with…? GLS: Wie zufrieden sind Sie insgesamt mit Ihrem Leben? 0 = Ganz und gar nicht zufrieden; 10 = Völlig zufrieden. PWI: Wie zufrieden sind Sie mit …? dem, was Sie in Ihrem Leben erreicht haben? damit, wie sicher Sie sich fühlen? damit, wie Sie sich als Teil Ihrer sozialen Gemeinschaft fühlen? GLS: Alles bij elkaar genomen, hoe tevreden bent u vandaag de dag met uw leven in het algemeen? 0 = Zeer ontevreden en 10 = Zeer tevreden. wat u hebt bereikt in het leven? uw gevoel deel uit te maken van een gemeenschap? uw zekerheid van bestaan in de toekomst? GLS: Hur nöjd är du med livet i allmänhet? 0 = inte alls nöjd och 10 = helt nöjd. PWI: Hur nöjd är du met…? det du uppnår i livet? hur säker du känner dig? hur mycket du känner dig som en del av. samhället? Blanchflower, D. G., & Oswald, A. J. (2004). Well-being over time in Britain and the USA. Journal of Public Economics, 88, 1359–1386. https://doi.org/10.1016/S0047-2727(02)00168-8. Cummins, R. A., Woerner, J., Weinberg, M., Collard, J., Hartley-Clark, L., & Horfiniak, K. (2013). Australian Unity Wellbeing Index: Report 30.0 - The wellbeing of Australians: Social media, personal achievement, and work. Melbourne: Australian Centre on Quality of Life, School of Psychology, Deakin http://www.acqol.com.au/uploads/surveys/survey-030-report-part-a.pdf.